Yay perfect last week. This week will probably server to be more challenging. Categories: Weekday Links | Permalink. Every week Cal Football Blog will look at 5 most intriguing questions before Game Day. Cal fans have been asking this question for over five years. 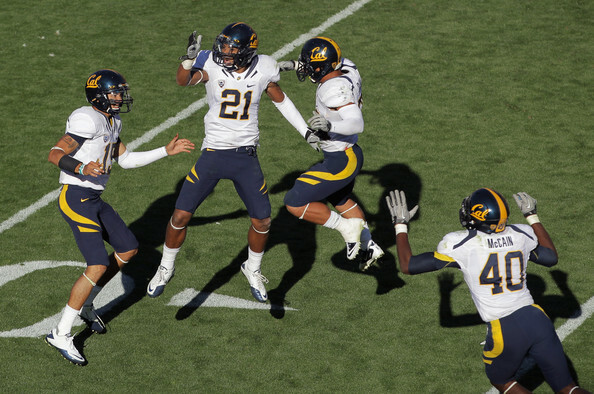 This past weekend Cal confidently defeated Utah after three consecutive losses to Washington, Oregon, and USC. The defense looked unbreakable while the offense was moving like clockwork. It may be possible that Cal’s young players have finally meshed into the flow of the college game while Zach Maynard has finally found his rhythm. It is also possible that the new coaches finally feel comfortable at Cal, Tedford, and the players. If Cal can bring about the same kind of game the next three games against struggling teams, Cal will be bowl eligible while riding big momentum going into Stanford. 2. What does Cal need to improve on? There are lots to improve in every aspect of the game but it seems that things have gotten better since the beginning of the year. On offense, Cal’s running game is not the same as it used to be but Isi is doing what he can while he may barely get over the 1,000 yard milestone. However, in order for Isi to have big yardage he will need to be able to keep running with high knees and aggression even after getting hit because there have been many situations where if he were to shed a tackle, he would have been gone for a touchdown. The offensive line is much better than what we all saw early in the season but the big men up front still need to create bigger holes for Cal’s running backs and have better technique against fast pass rushers. On defense, the secondary must continue to win their one-on-one matchups while the front seven must continue to increase their pressure on the opposing quarterbacks while at the same time not over-pursuing. With special teams, pretty much everything except for placekicking and punting. 3. What should we look forward to this weekend? With UCLA lacking in depth this Saturday, Cal’s defense may go all-out pressure on UCLA to tire out their offense and pick them apart. If the Cal defense can bring the same performance as it did against Utah, the game could be over by half time. However on offense, Zach Maynard must continue to manage the game as he did against Utah. The wide receivers for Cal will look to have another big game against a struggling UCLA defense. If the offensive line should have better blocking against UCLA, allowing Cal’s running backs to run all over the place. However, Cal should tread with caution because the Bruins will most likely be extra motivated against Cal. 4. What should we expect for the next three games? Cal will face UCLA at the Rose Bowl and then play both Washington State and Oregon State at home. As of now, Cal is favored to win all of these games. UCLA is looking horrible and with a depleted depth chart, Cal should have one of their best away games this season. Even though Washington State looks better this year, they still have not competed well against Pac-12 teams, and Cal should look to defeat them soundly. The only scare should come from Oregon State. Even though Oregon State looked horrible earlier this season, they have looked better and better with every week. Their freshman quarterback looks much better and their team in general have found some rhythm. If Cal can play Oregon State with revenge in mind with the home crowd behind them, Cal will get a tough win against Oregon State. Three wins in a row would mean that Cal will be bowl eligible before facing Stanford and Arizona State. As long as Cal can stay healthy during the next few games, Cal can potentially play as well as it did against Utah against any team. 5. What are the keys to beating UCLA? The biggest key is whether Zach Maynard can manage the game. As long as he does not turn over the ball or force passes, Cal’s offense should be okay and may be able to do just enough against UCLA. The second key is to shut down and demoralize the UCLA’s passing game. This means pressuring the quarterback and tiring out the few wide receivers that UCLA have. The third key is to have a much better special teams coverage. Both kicking and special teams coverage have been below par this entire season. If Cal can have good field position for most of the game, UCLA will have a hard time even scoring a field goal. – Wonder why we’re seeing remnants of a baseball field being there even though no games have been played for almost a month. – Early penalties seem to be hampering Cal again as they give up a huge play on 3rd and 15. – Seems as if it will likely be a defensive battle for most of the game. – Zach Maynard inaccuracy is rearing its ugly head again missing open receivers. – Bryan Anger has been Cal’s MVP this game so far with a couple of huge punts. – Maynard makes a nice read and gives the ball to Isi for the first touchdown of the game. – Tipoti with a big hit from behind and a nice recovery by D.J. Holt. – Not sure why we are running a screen play on 3rd down, but I think we’re lucky to get 3 points off that turnover. -#70 on the Utes giving Cal a couple of gift penalties. Let’s us see if we can grind out a long TD drive. – Zach Maynard makes a nice throw on 3rd down after nearly getting picked up. I’m glad to see a great coaching move of quick snapping after a close catch by Marvin Jones. – Great punt by Maynard pins the Utes. Interesting decision to decline the holding penalty. Probably thought the down was more important than 3 yards. Jones probably should have called for a fair catch. – I like the idea of play action on first down to try to take a shot down field. – GT has been very impressive so far this year on field goals. – Cal’s special teams rearing its ugly head again with a big return followed by an necessary roughness and yet another bad penalty. Kendricks bails out the defense with a huge pick, Cal might be able to get more points on the board and recapture momentum. – Nice checkdown by Maynard to Jones followed by a nice screen pass to Allen who drags a whole bunch of DBs into the endzone for another Bear’s TD! Categories: In-Game Analysis | Permalink. What Cal Could Do To Salvage The Season? 1. Get Bowl Eligible ASAP – After last year’s experience of waiting to the last minute, I am sure nobody wants to count on a date with Stanford, or an after Big Game date (Cal isn’t very good at these remember) with Arizona State in Tempe to get into a bowl game. Stanford and Oregon both looking like potential BCS bowl candidates. If the Cardinals and Ducks only have 1 or 2 losses, one will likely get the Rose Bowl birth (presuming them win the Pac-12 Championship Game) or if someone from the South wins it, the runner-up or team on the sideline might have the horses to qualify for the Fiesta Bowl. Remember, bowl games are nothing but exhibition games and the lure of Andrew Luck or Phil Knight and those wacky Oregon uniforms would give these teams the slight edge. What does this mean for Cal? Two BCS teams from the Pac-12, plus USC’s ineligibility to play means a double bump from the usual bowl positioning from most other years. Winning 3 out of the next 4 games which we will likely be favored to win anyways would go a long ways to closing out the season on a high note. 2. Mychal Kendricks , Sean Cattouse and Mitchell Schwartz finish strong – Likely Cal’s 3 year streak of players drafted in the first round will end in the upcoming draft (Alex Mack, Tyson Alualu, Jahvid Best, Cameron Jordan). But this does not mean we can’t elevate a couple of the seniors in the upcoming draft. Chris Conte, Cameron Jordan, and Tyson Alualu in recent drafts have proven Cal can produce talent on the defensive side of the ball as well. Kendricks and Cattouse were unfortunately highlights in a couple of long LaMichael James runs on national television, but they both possess NFL bodies and talent so hopefully a strong finish by Cal can elevate their draft status. 3. 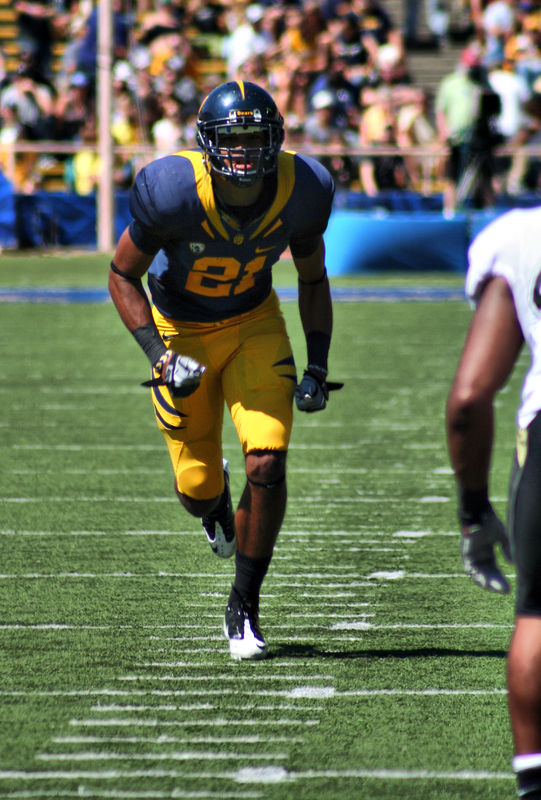 Have the young talent excite the crowd – Cal now employs both young starting cornerbacks in Stefan McClure and Steve Williams. But I’m sure the fans would be excited to see a little more Brendan Bigelow breaking off big runs, Gabe King getting a big sack, Tiny Moala clogging up the middle, or Chris McCain getting a big interception. With back to back top 20 rated classes, it would be nice to see someone outside of Keenan Allen begin to carry the banner. Regardless of how the season end, notable performances by freshmen and sophomore will get Cal fans excited moving into 2012 in the new Memorial Stadium. Cal has a curse over them against USC. This weeks game for Cal against Utah may determine the rest of the season for both teams. Categories: 2011 Weekly Predictions | Permalink.